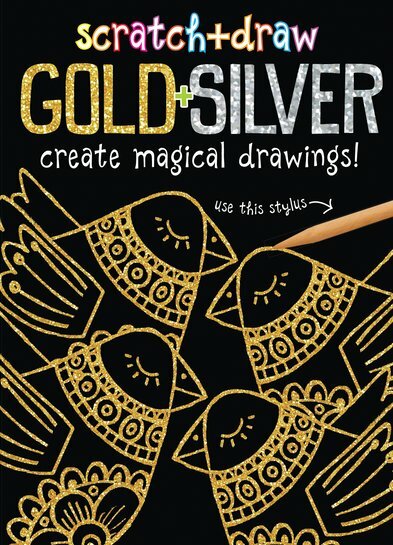 Gold and silver: there are so many ways to use them, from luxury Christmas cards to mirrored picture scenes. Turn your home into a glittering palace with scratch art fit for a king or queen. This creative kit brings you luxurious gold and silver scratch card, plus an ideas book of sparkly inspiration. (There’s also a scratch pen, of course.) Bling out or give it subtle sparkle. Make truly sumptuous scratch art.